Prolonged high blood sugar in a diabetic patient produces changes in the blood vessels all over the body. The damage to the blood vessels of the retina is called Diabetic Retinopathy. The blood vessels in the retina can be examined directly and non invasively and so even the earliest changes can be diagnosed. Diabetic retinopathy can be assessed only by retinal examination. Beware! Early stages of diabetic retinopathy will not produce any sight loss. Hence only by retinal examination diabetic retinopathy can be diagnosed. Retinal examination should be done once a year. In early diabetic retinopathy there are small dialations of the capillary walls in the retina which is called as microaneurysms. At this stage good control of diabetes and regular follow up examination of the retina is necessary. In the next stage, small haemorrhages, accumulation of fluid, cells and fat can occur. This is the warning stage and there is no specific treatment even in this stage.The point to be noted here is that sight will not decrease in these stages and so retinopathy can be detected only by routine examination. In severe cases fluid can collect in the critical “seeing area” of the retina called Macula. Mild to moderate disturbances in the vision may be present. Laser photocoagulation can be done to bring down the fluid accumulation and prevent permanent damage to macula. In proliferative diabetic retinopathy, abnormal blood vessels develop in the retina, which are very weak and have a tendency to bleed. Once there is a bleed there will be sudden and sometimes total loss of sight. Once there is sight threatening retinopathy, a test called Fundus Fluorescein Angiography (FFA) and laser treatment should be done. 1. Is a laser treatment for Diabetic Retinopathy harmful to eyes? 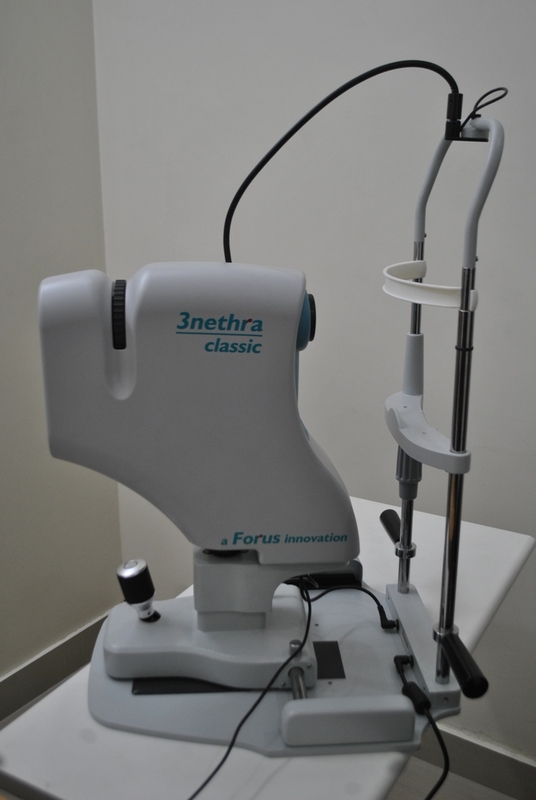 Laser treatment prevents progression of diabetic retinopathy and deterioration of sight. 2. How is (Cataract) lens opacification treated? Cataract surgery is done by a technique called Phako emulsification which is-mistaken for laser. 3. Is glass test and retinal test are same? No, Retinal test is entirely different from the glasses testing. Retinal test should be performed every year after dilatation with eye drops. 4. What is the normal prevalence of Diabetic Retinopathy? In a population based study done by using retinal photography, the prevalence of Diabetic Retinopathy was 19%. 5. How often retinal examination has to be done? For Type 1 Diabetes - every year after 5 years of onset of diabetes. For Type 2 Diabetes - at the onset of diabetes and every year thereafter.